Mini Mansions + Tame Impala's Cam Avery performing 'Any Emotions' together live. 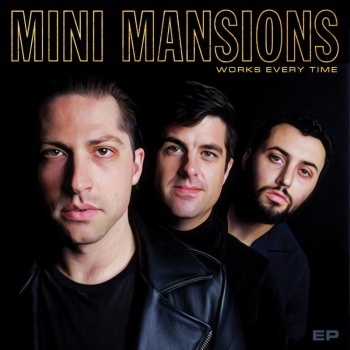 Mini Mansions have just been touring North America with Tame Impala, during which at a recent show in Montreal, Cam Avery (of Tame Impala and Pond), joined MM on-stage to help out with a rendition of 'Any Emotions'. Can Tame Impala and Mini Mansions just go on an Australasian tour together already, please? P.S. Click HERE to read our latest Mini Mansions interview. MusicMini Mansions' next single is 'Honey, I'm Home'? MusicWatch: Cameron Avery perform ‘Watch Me Take It Away’ live. MusicMust-watch: Mini Mansions - 'Freakout!' music video. MusicWatch: The Last Shadow Puppets #2 new trailer.